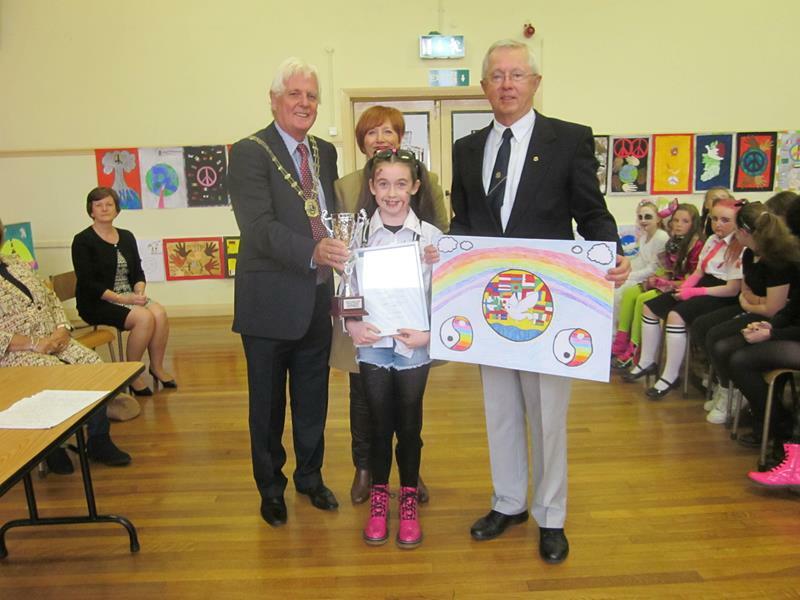 Congratulations to our winner Danielle O'Connor and her winning poster seen her being presented with her trophy by President Der Cogan and Lions Tim O'Donovan. 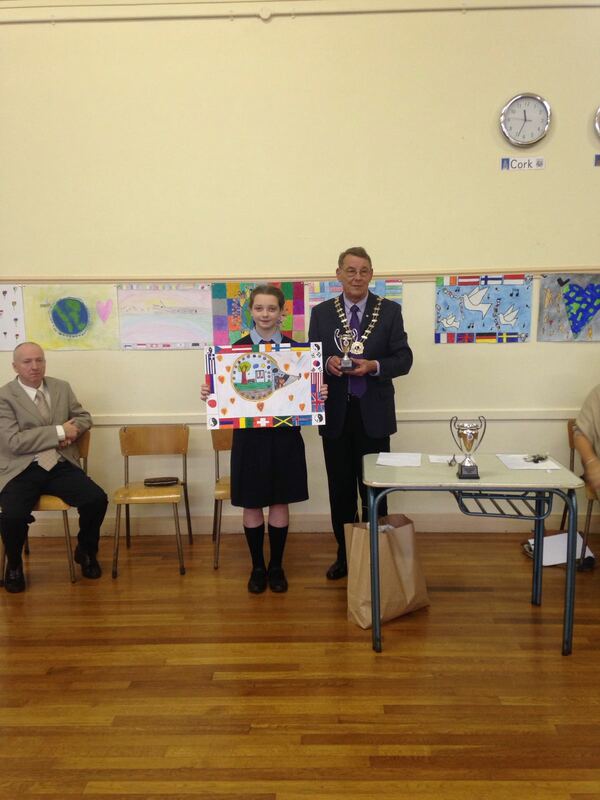 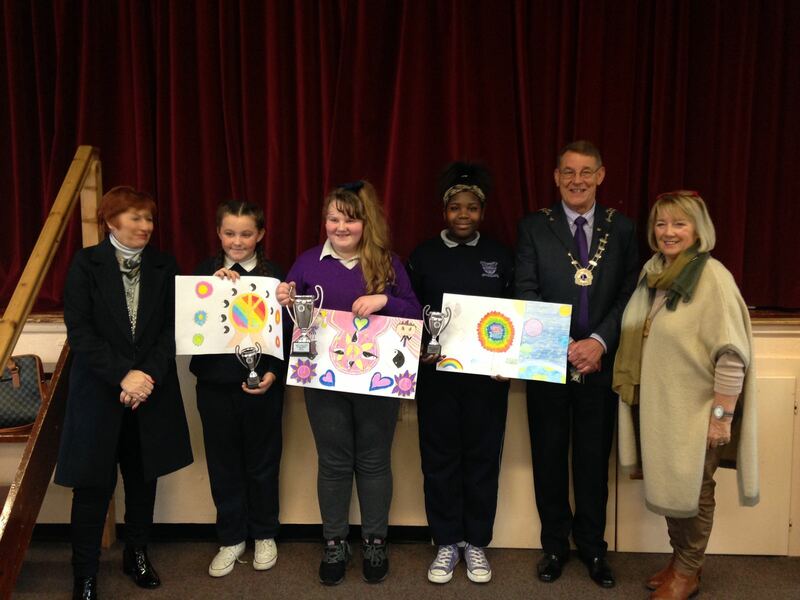 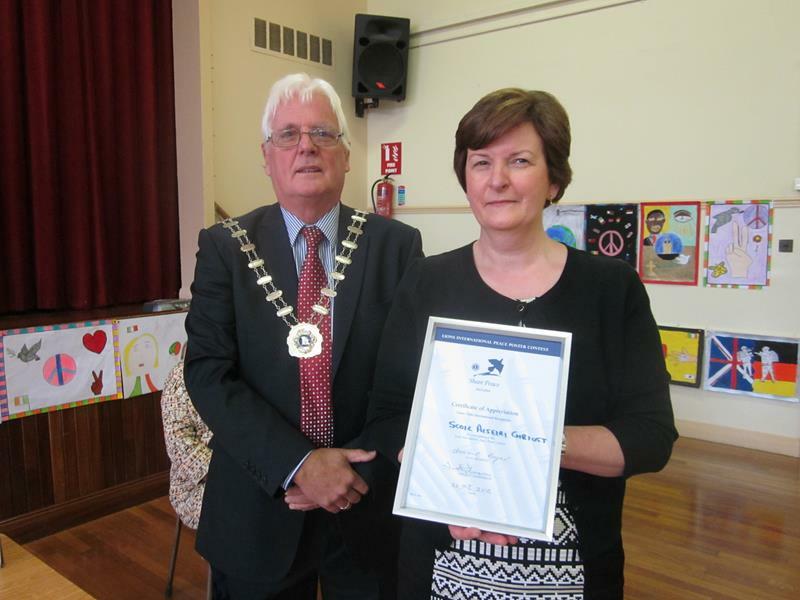 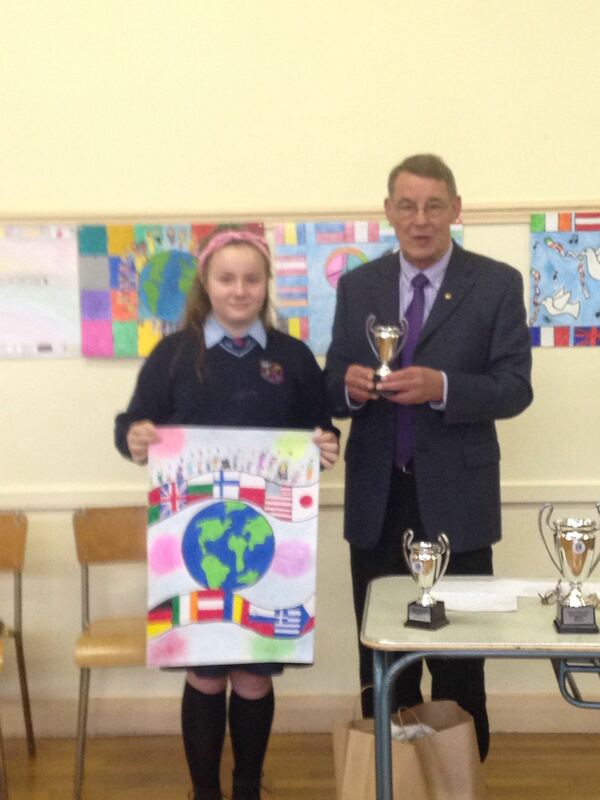 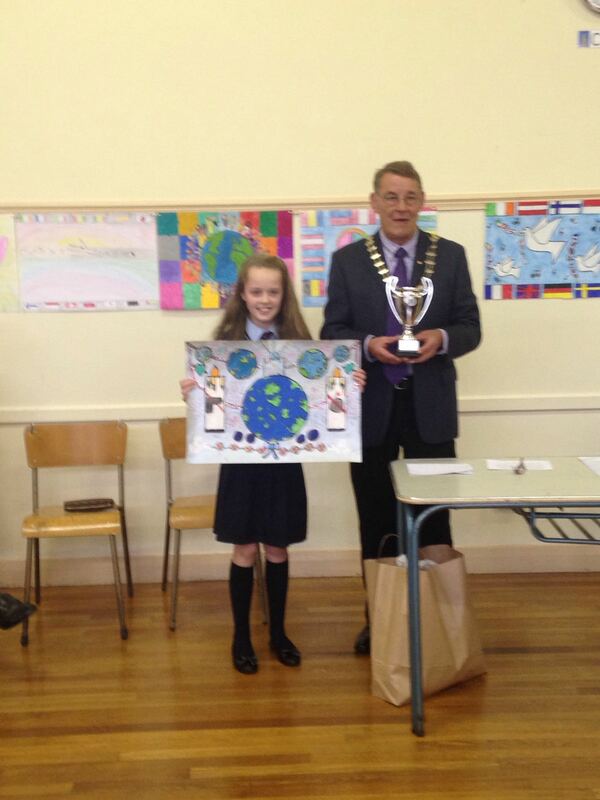 Thanks to Principal of Scoil Aiseiri Chriost Mrs Teresa O'Sullivan for facilitating the competition. 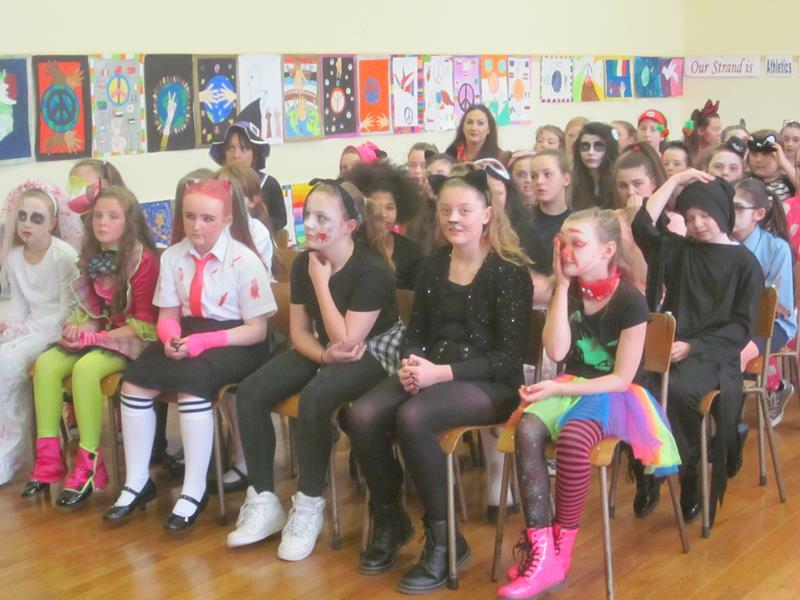 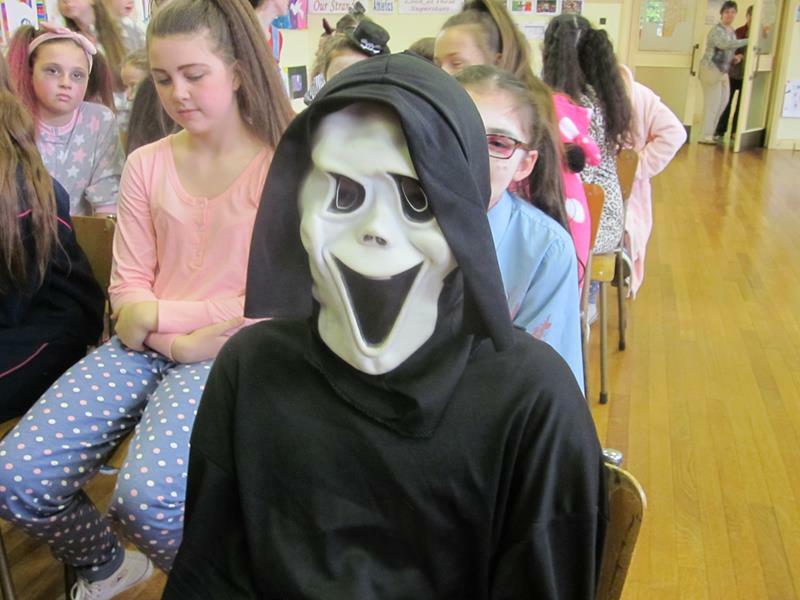 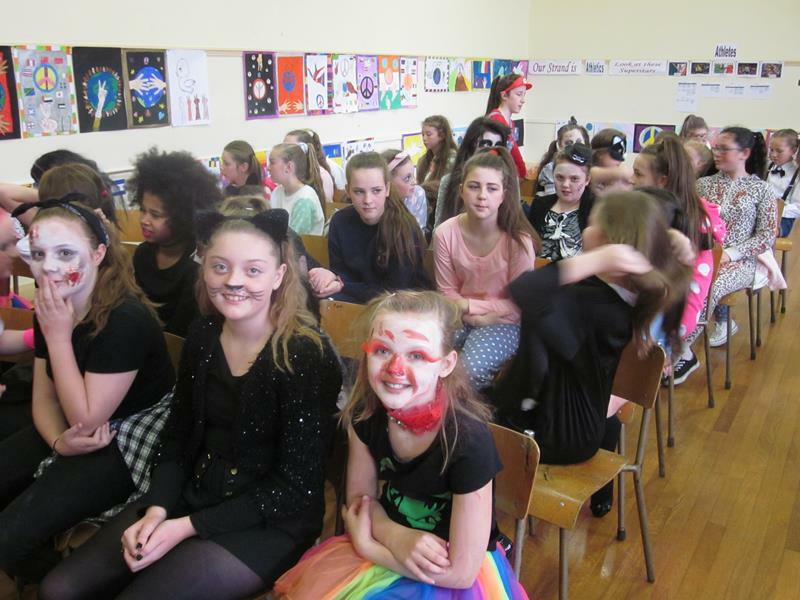 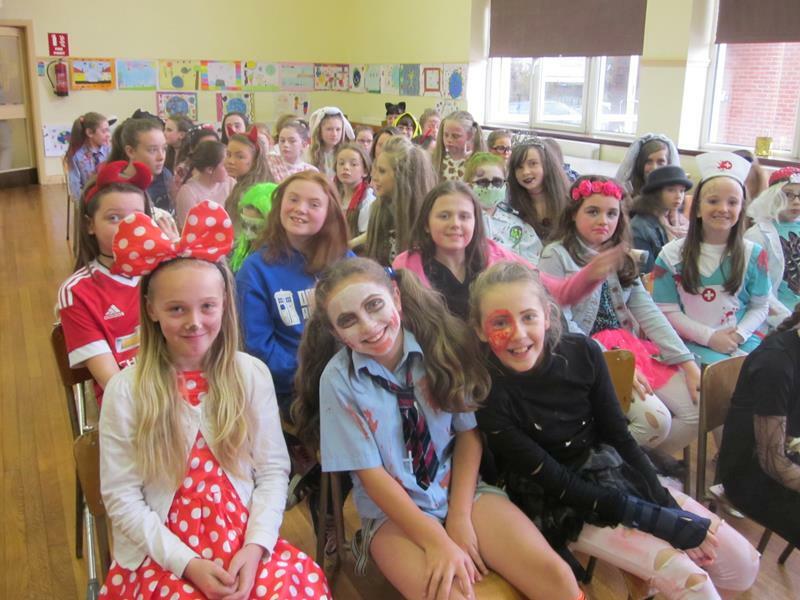 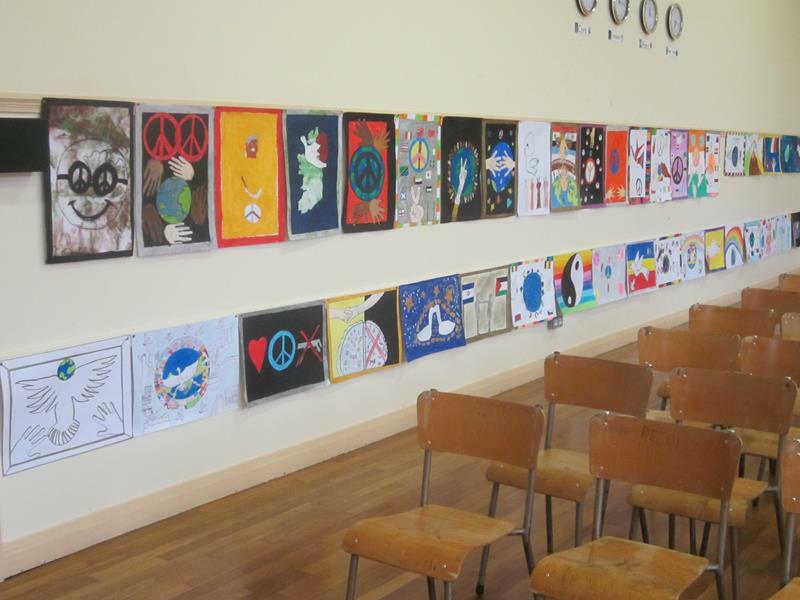 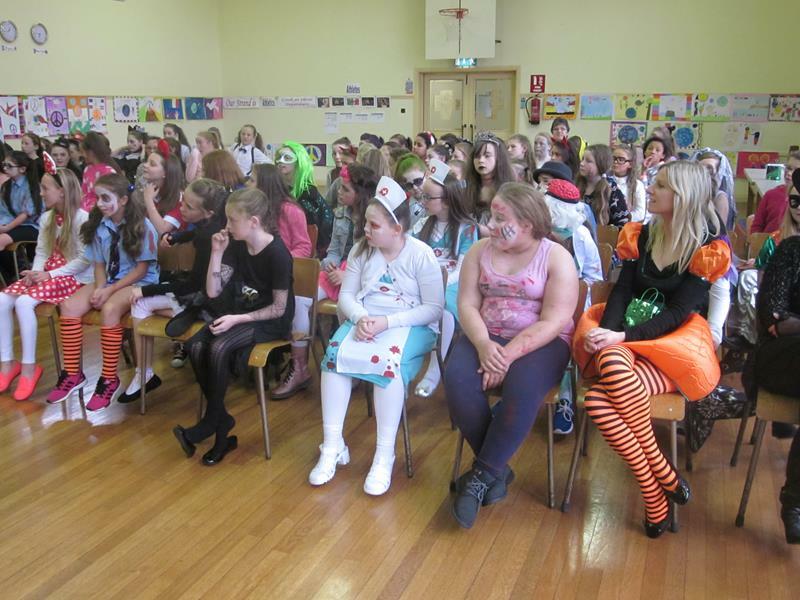 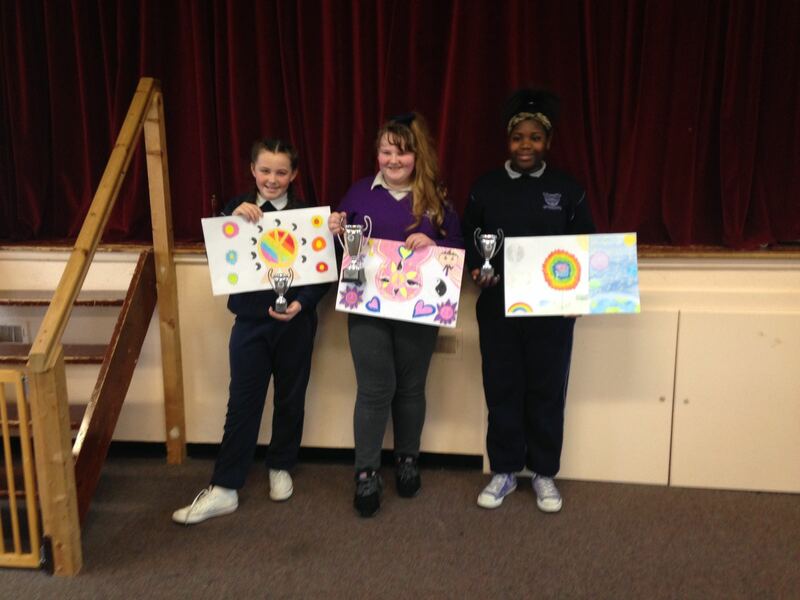 Thanks to all the puplis of Scoil Aiseiri Chriost who made the competition such a great success. 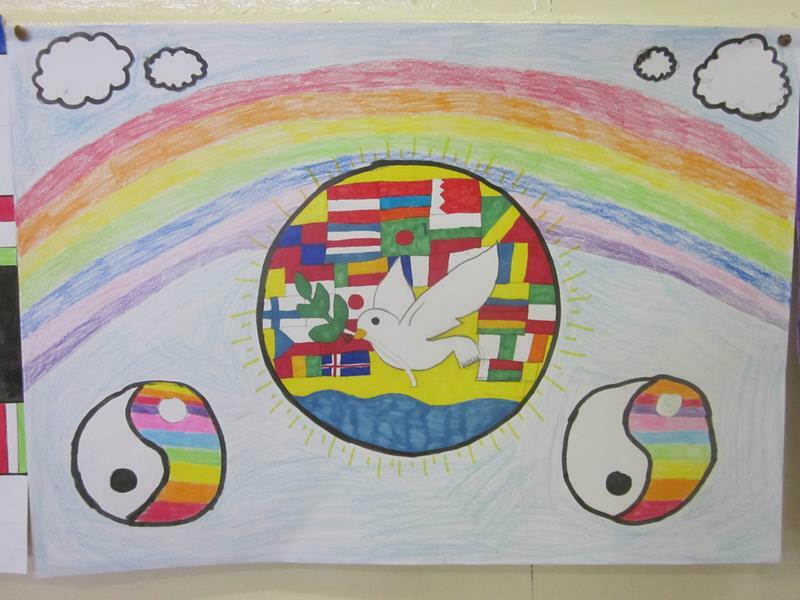 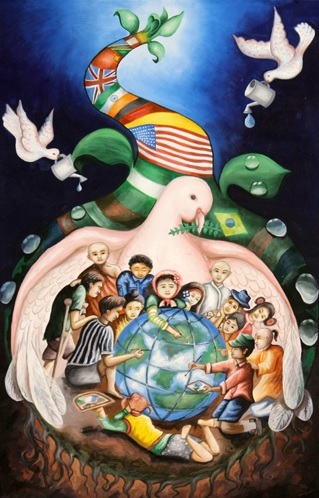 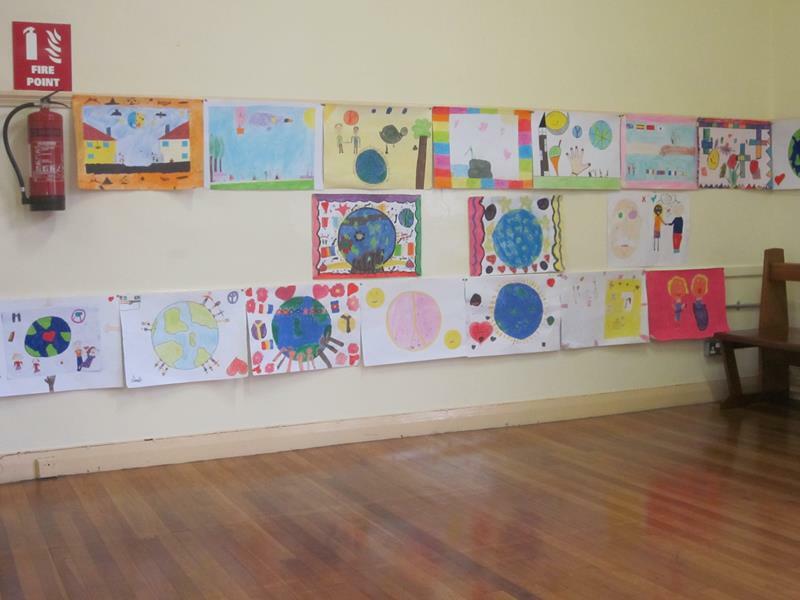 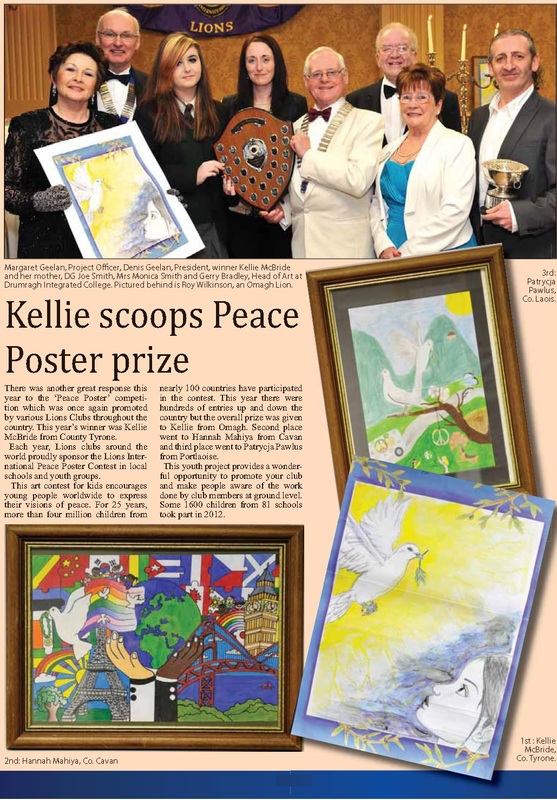 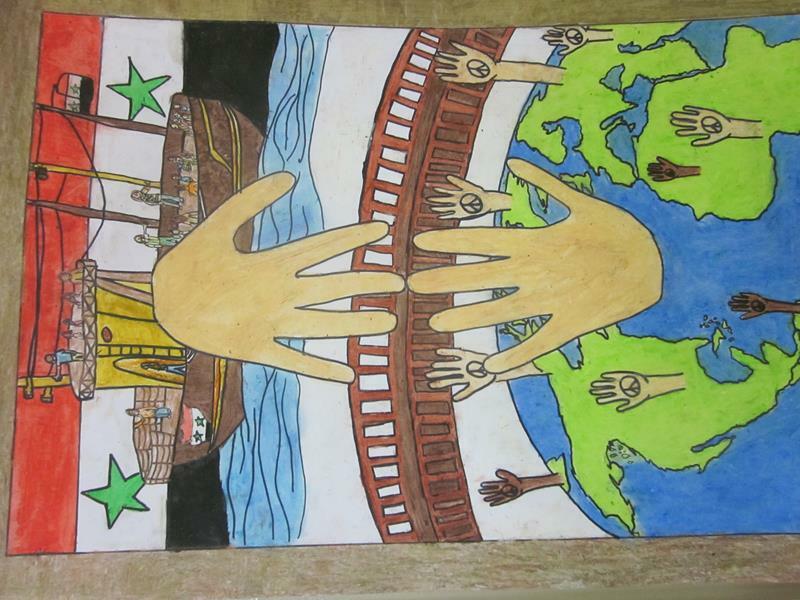 The theme of the 2014-2015 Peace Poster Contest is "PEACE , LOVE and UNDERSTANDING"
Twenty-four international finalists are selected each year, representing the work of more than 350,000 young participants worldwide. 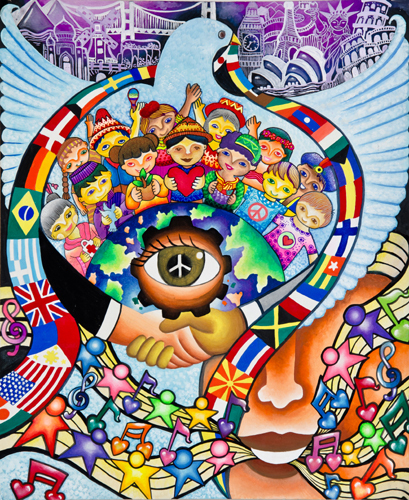 Posters are shared globally via the Internet, the media and exhibits around the world.